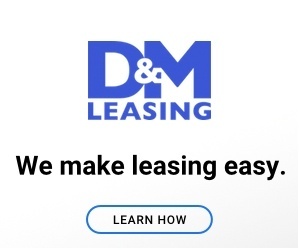 I am terribly sorry for any miscommunication that resulted in your experience with D&M Leasing not being favorable. As a 35 year company rated #1 in the country by DealerRater.com, we strive for excellent service in every situation. More than 70% of all of our business comes from repeat and referral business so we take our responsibility to our clients very seriously. As President of the Houston operation, I'd very much like to speak with you personally to address your concerns. My direct line is 713-715-4611 and I can be reached any time during business hours. I told D&M two types of vehicles I was interested in. It took them two weeks to call me back and tell me the deal was not doable. Very good credit and a hard pill was not a prudent thing to do. In the end, I negotiated a much better deal myself. This is not rocket science! Want to do is put you in a long-term lease where they make a killing! Review #620830 is a subjective opinion of User620830.